I DON’T REALLY believe Donald Trump can be accused of not being transparent in terms of who is and what he’s all about. The inconvenient truths have been on the record for anybody to see for some time now. Instead, his supporters and the new so-called alt-right media have built a reassuring myth around him. Trump is a figment of their imagination. Accordingly, there has not been much commentary among the alt-right media about Mike Pompeo’s (pictured) appointment as CIA director. Infowars made no mention of it. MSM is off on their usual distractions and misdirections. 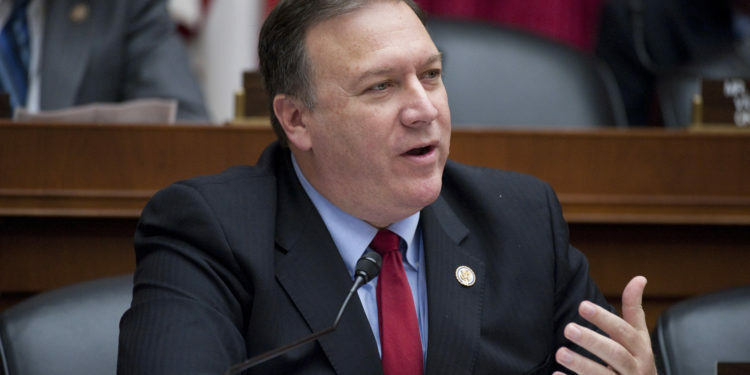 Pompeo, who’s from Kansas, typifies the evangelical Zionist movement and Trump’s appointment of him personifies his brand of Kosher nationalism. It is not just the left that has useful idiots, the right has them as well. 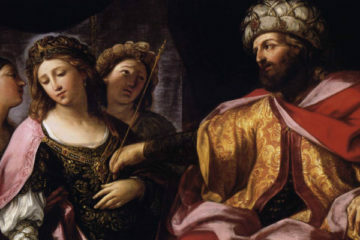 My own brother — who, like me, was born and raised in Kansas and still lives there — is a fully recovered former evangelical dispensationalist Zionist. He is now wide awake. He describes them as the most deluded, crazy people on the planet. For an essential background on the pseudo-Christian rants and beliefs of these financially promoted nutwings, please view the video below. If conservative evangelicals are reading this, you may want to consider that Jewish sentiment toward you is not positive. Pew Research reveals that 69% of White evangelicals have a favorable view of Jews. Among Jews, only 34% have a favorable view of evangelical Christians. You are looked at as useful idiots, ranked right down there with Jewish bottom-of-the-barrel disdain for Muslims, with a 35% favorable rating. 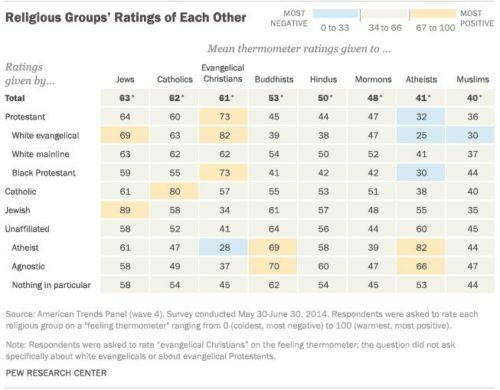 Jews rate atheists at 55%, 21% higher than you. After years of Jewish-run media’s agit-prop lies about Muslims, only 30% of evangelicals have a favorable view of Muslims. Pompeo is anti-Muslim, believes (or pretends to believe) Muslim-demonizing staged deceptions are real and was a leading anti-Iran politician in Congress. He supports restoring the National Security Agency’s bulk collection of metadata. He favors the “enhanced” (shadow language for “torture”) interrogation methods used during the Bush administration. He is a Gitmo promoter. This appointment is a complete fail — an F — and a very bad sign. Given that this evangelical voting bloc came through for Trump, it is obvious their useful idiots will be brought into the new Kosher nationalism being set up in the U.S. Another Zio, Tom Cotton, is being mentioned for Secretary of Defense. That would seal an unmitigated disaster and be little more than Sheldon Adelson-style neoconism Version 2.0. Here is a must view of Adelson describing how he would “negotiate” with Iran. It illustrates what a swamp US foreign policy is. If these types show up heading the Department of Homeland Security, then that also signals Trump is a Kosher nationalist who will be authoritarian and not liberty minded in the least. Of course, the Israelis pride themselves on leading the pack on the skill sets required to “consult and advise” others on police state matters. They have lots of technology and equipment for sale to boot [see Fortune’s “Why Israel Dominates Cyber-Security” and Unit 8200’s “Using Mass Surveillance for Blackmail and Extortion“]. Additionally, the Israeli security company that built the Gaza wall is seeking a U.S.-Mexico border deal. Trump’s choice of Jeff Sessions as Attorney General is more hopeful and might result in some draining of the swamp. Sessions could have enough integrity to clear out the corrupt Obama appointees. The Justice Dept. has been involved in serious hoaxing, false flags and cover ups going back to the Clintons. They have also covered for criminal banksters (see The Veneer of Justice in a Kingdom of Crime). Will this change under Sessions, or is this just a different breed of poisonous snake? We will just have to track this veritas step by step. If I had to make a call right now, my guess would be that Trump’s administration will be a blend of Kosher authoritarian police state and nationalism. There will be pros and cons. A genuine attempt (even if unsuccessful) will be made to revive the American middle class, control illegal migration (which pulls down wage levels) and unwind globalism. However this glass half full prediction is off the table if Trump’s hedge fund, raider and Goldman Sachs pals show up in his government. This would put our worst nightmares (see The Parasite Guild) into play. There could very well be a fight against elements of swamp corruption, particularly that of Trump’s political enemies. The Cabal’s interest will likely be barely touched, as the Goldman Sachs’ of the world will receive get-out-of-jail cards, as long as they avoid anti-Trumpism. If I am wrong and they are actually pursued, that would be a very positive tell. There may also be a move against excessive cultural Marxism, and that would be a positive. Information flow will be reset, and the MSM will need to reinvent itself. The alt media will be fully Kosherized, similar to Infowars and Breitbart, and people need to be alert to this. The rare non-Kosher alt sites like TNN will be pulled down. Israel will be allowed to finish off the Palestinian two-state solution combined with an anti-Iran and anti-Saudi campaign. Trump’s 16-point plan on Israel is already laid out succinctly here and is Likudnik-scripted. The Saudis will be blamed for 9/11 as a slide framing distraction away from the Zio perps. Those countries are next on the Zionists’ menu. Syria has already been wrecked, fiat accompli, so that will be disengaged. Iran will be a dangerous foe to contend with, and there is risk of spilling large quantities of American goyim blood and cannon fodder. Pressure against Russia in Europe, Ukraine and Syria will be walked back in exchange for a neutral stance in the campaign against the new Zio targets and faux cooperation in the fight against ISIS boogeymen. There will be an effort to weaken the Sino-Russian alliance some, so that economic pressure can be brought to bear on China. Japan’s Abe was the first to visit with Trump, and Japan has been given the word: They will be backed against China.